In 1980, during her run on Broadway in the musical, Ain’t Misbehavin’ and before being cast in Dreamgirls, singer/actress and Detroit native ROZ RYAN teamed up with the legendary team of DENNIS COFFEY and MIKE THEODORE on a six song album that wound up being unreleased. 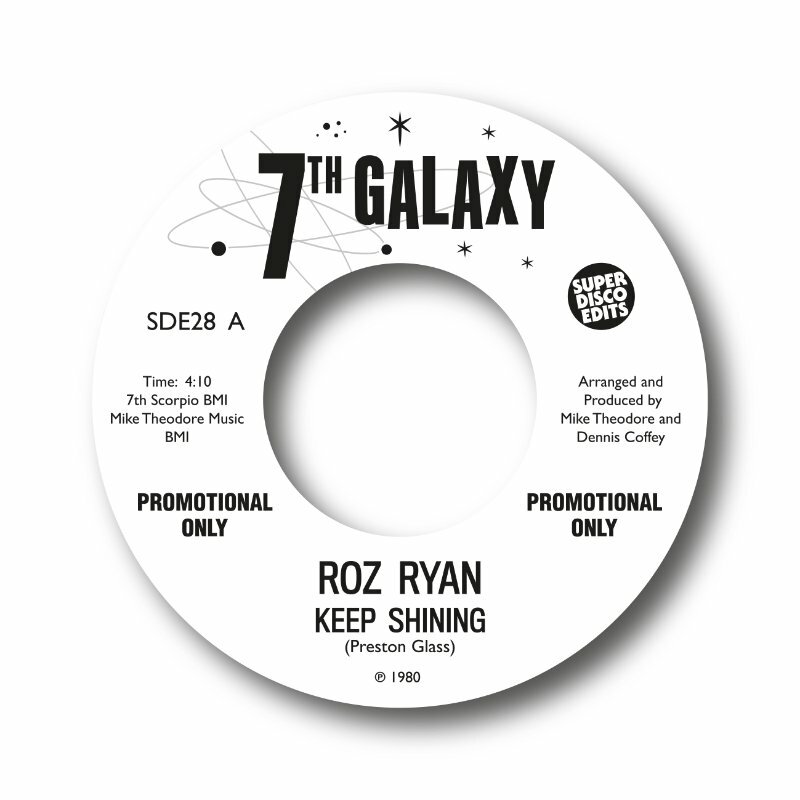 Recently, the folks at Super Disco Edits released this 45 featuring Roz’ taking on Preston Glass’ “KEEP SHINING” b/w “PUT LOVE BACK” (composed by Eric McClinton). Both tracks were from the Theo-Coff sessions and make their debut for lovers of dancin’ (“Keep Shining”) and romancin’ (“Put Love Back”). Enjoy!